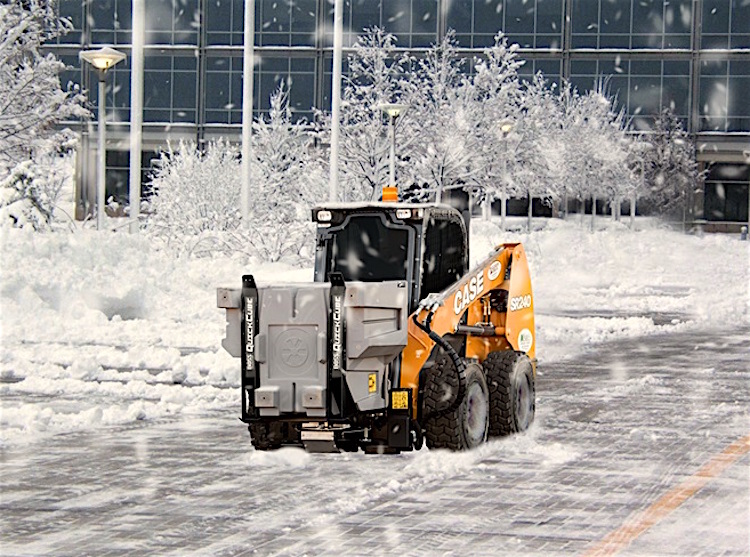 BOSS Snowplow is introducing a unique new skid-steer-based salting system designed to improve contractor profitability, decrease operational costs and improve reaction times to customer service needs. 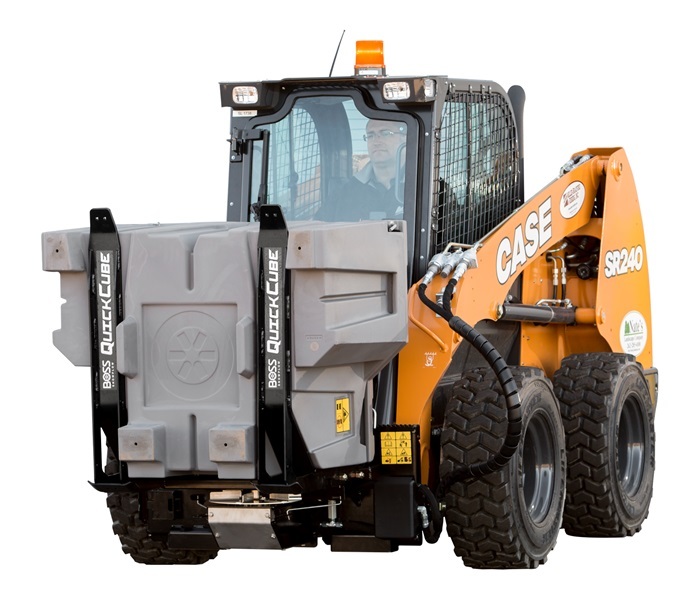 The new QuickCube System utilizes weather-proof, poly cubes (hoppers) that can be filled with solid deicing materials and staged at job sites in advance of wintry weather. The filled cubes will replace the need for remote salt piles, tarps and temporary salt shelters. The cubes can be stacked and are neutrally colored to blend in with existing landscaping. Material is fed to the spinner disc via gravity and the auger for reliability and ease of operation. 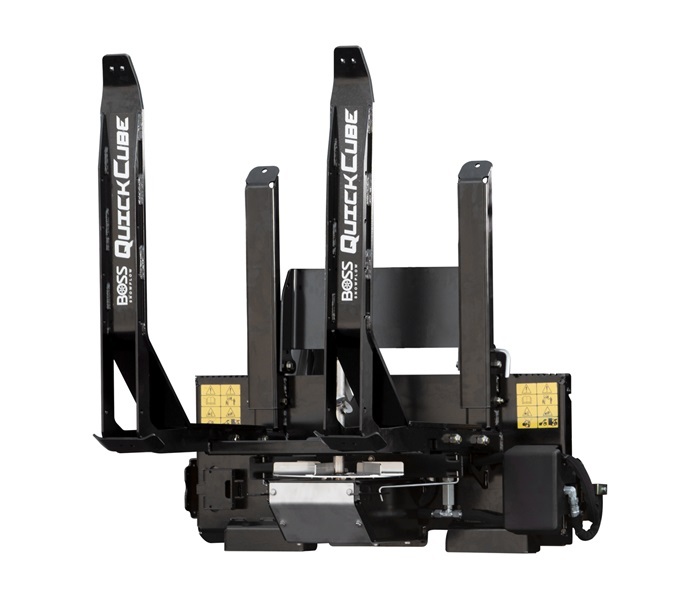 Designed with contractor profitability in mind, the QuickCube system is competitively priced and backed by the warranty and durability of the BOSS brand.